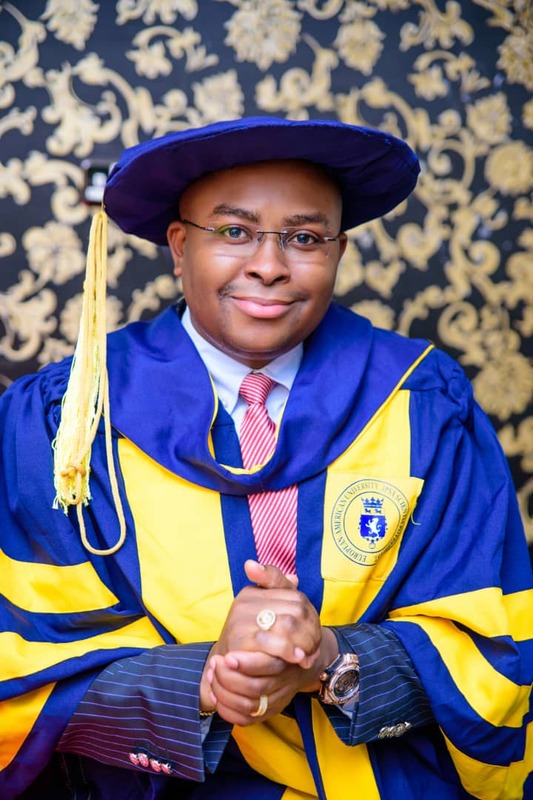 Home Lifestyle EUROPEAN AMERICA UNIVERSITY DECORATES CHAIRMAN, PRINCE OSISIOMA FOUNDATION WITH HONORARY DEGREE. EUROPEAN AMERICA UNIVERSITY DECORATES CHAIRMAN, PRINCE OSISIOMA FOUNDATION WITH HONORARY DEGREE. 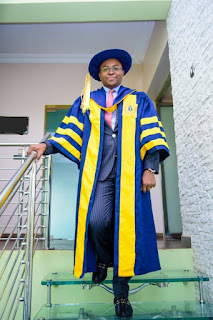 The noble and Philanthropic commitments of the Chairman, Prince Osisioma Foundation, has earned him an international honour and recognition, as the European America University decorates Prince Onyeka Nnadozie with an Honorary Doctorate Degree of Science in Public and Organisational leadership. 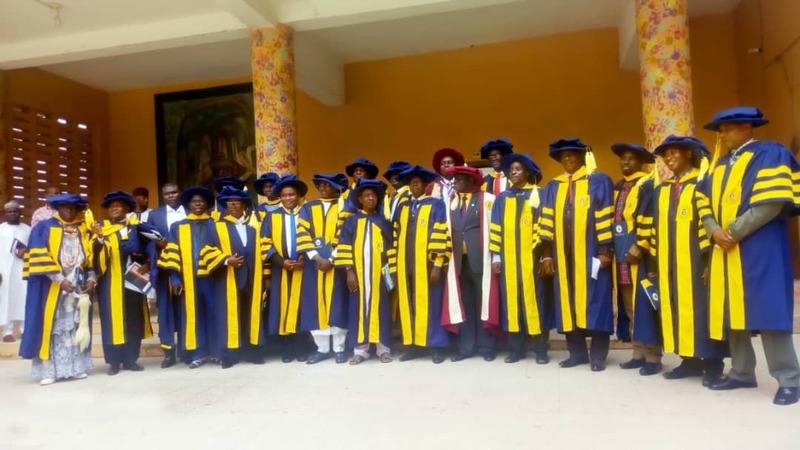 This Honour by the European America University is in view of the countless philanthropic gestures and administrative capabilities of the outstanding Chairman of the foundation, especially in the education sector. 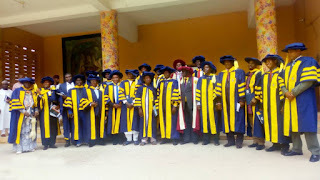 The event of honour was held at the capital city of Nigeria, Abuja, on the 28th of July in Cyprian Ekwensi Centre, and had the presence of top government officials, and executives in the education sector. According to the University management, the year long achievements and recent supports from Prince Osisioma Foundation, through its founder, Prince Nnadozie Onyeka, has left sustainable impacts in the sector, thereby creating a need for this distinguished honour. He has received a mammoth of congratulatory messages from remarkable figures, international expatriates, subjects, friends and family members. 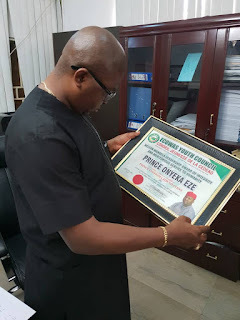 While speaking to few guests at the event, one Dr. Uche, a lecturer with a Nigeria university, he expressed gratitude to the convener of the ceremony and commended the great strides and achievements of Prince Nnadozie, he says "Prince is a dedicated man, who goes for success and ensures that he claims it". "The Honour was indeed well-deserved", he concluded. 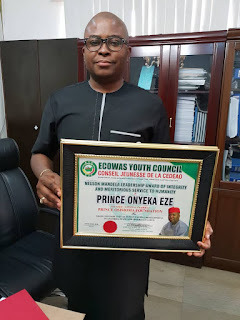 In his reaction to the Honour, Prince Onyeka expressed great appreciation to the management of European America University, stating that their strengths and commitments to the success of the ceremony will be rekindled. 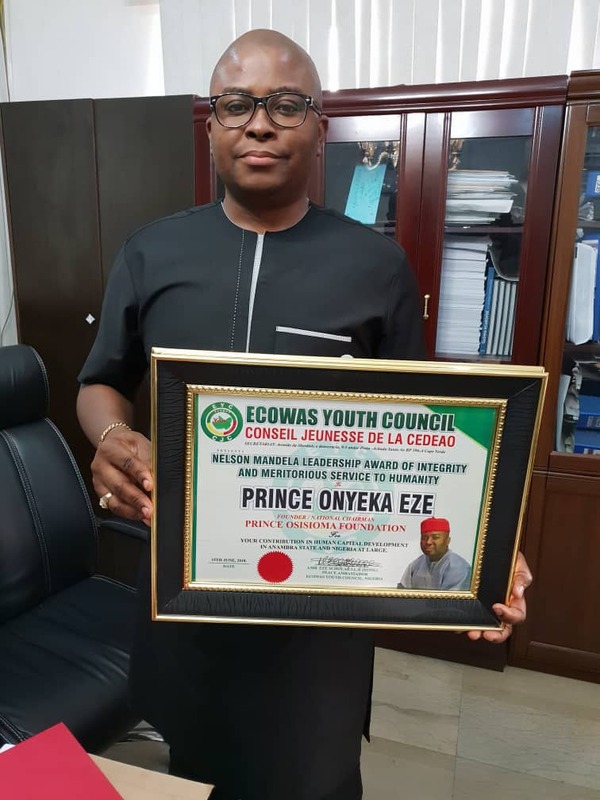 The man of honour and humble nobility, has bagged several awards and recognition for his philanthropic engagements in Nigeria and west Africa, as he was also honoured at the just concluded ECOWAS Youth Summit. 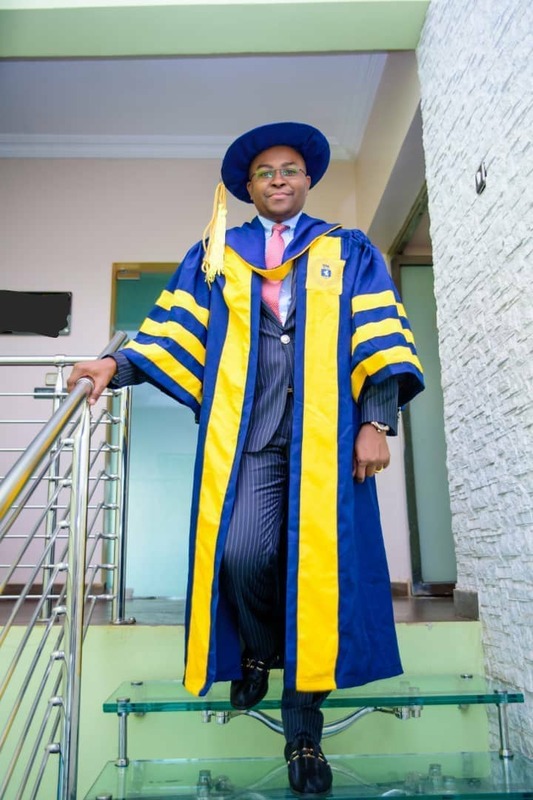 Subject: EUROPEAN AMERICA UNIVERSITY DECORATES CHAIRMAN, PRINCE OSISIOMA FOUNDATION WITH HONORARY DEGREE.